Owners: The NPD Group, Inc.
What is ReceiptPal? 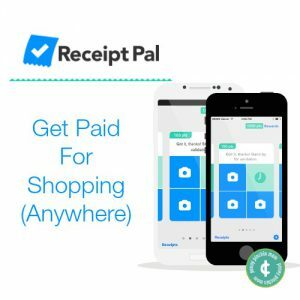 How does ReceiptPal work? You’ll find all these answers and more within my ReceiptPal Review. I initially found ReceiptPal when doing a review on Receipt Hog, and I saw ReceiptPal was a similar app to Receipt Hog. I really enjoyed using Receipt Hog so I thought I would give ReceiptPal a try too. So, this is how my ReceiptPal review was born. Oh, and by the way, my original Receipt Hog review can be found here, Is Receipt Hog A Scam? I have also reviewed another way to save using a similar company, you can read about it here, What Is Checkout51 About? What is ReceiptPal?, for those that don’t know. ReceiptPal is a free smartphone app that you can get on iOS or Android. It’s very similar to Receipt Hog, where you snap photos in a well-lit room (trust me) of receipts from purchases you made and they, in turn, pay you for doing this. Easy? Yeppers! As easy as falling off a log. Why do they want your receipt information? The NFD Group distributes receipt information to companies, then said companies could make better business decisions based on the acquired receipt information. All this is done anonymously, where they combine other ReceiptPal users into a sum total to help market research. They will never share your data with 3rd parties. All receipt data is securely stored safely on their SSL-encrypted virtual servers as well. What kind of stores receipts will ReceiptPal accept? The list is pretty extensive. Online Retailers – Amazon, Google Play, eBay, etc.. They start off giving you five cards. Then after your initial five cards, you are given up to 3 Cards on every Monday. So, for a total of 12 receipts per week or 48 receipts per month that you can submit. You take a picture with your phone of a receipt and submit it. ReceiptPal than checks and validates your submitted receipt. If it accepts it, there will be a checkmark in one of the four boxes. 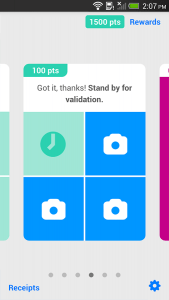 Once you have received four checks on a Card, you’ll be given 100 points for the completed card. Key point – if you have a receipt that is long and doesn’t fit, just take a picture from a distance. ReceiptPal says they zoom in to see details. Here are the current options for rewards. He’s Wiz, and I’m Boomstick…oh wait this isn’t a ScrewAttack! Video. ScrewAttack! is a channel on YouTube, where they have famous comic book superheroes battle it out till the death, (called Death Battle) to see who is better. 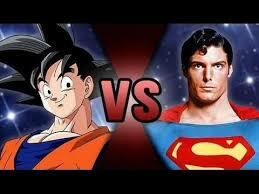 Like for example Goku vs. Superman. It’s cool if you like comic books. Right off the bat, ReceiptPal accepts receipts from a broader range of businesses than Receipt Hog. Receipt Hog also only gives you an opportunity to win via Hog Slots with certain retailers, where ReceiptPal gives you points for everything, instead of opportunity. ReceiptPal clear winner in this skirmish. ReceiptPal gives you 30 days back to enter a receipt, and Receipt Hog gives you 14 days. Winner, ReceiptPal in this battle. ReceiptPal allows you up to 12 receipts per week. Receipt Hog 20 per week. The Hog wins this engagement. ReceiptPal points can be redeemed for gift cards, no Paypal. Receipt Hog allows you to receive payment from Paypal. Obvious winner RH. The winner is…You? Yeah, you! Does it really matter? These are so easy to use, you might as well use them both, as I do. Submit the same receipt to both companies and enjoy twice the bennies. Double dipping with the same receipt, I’m doing it, and I’ve looked into it, and it’s not stated anywhere you can’t do this. Great little hack or tip. Keeps track of all your receipts stored in a convenient place so that you can track your spending routines. Just click bottom left of the screen, on the word “Receipts,” to view all entered receipts. Valid receipts are stored by date automatically. But you can also sort them many different ways. Accepts a wider range of receipts from different types of stores. Including e-receipts. Receipts that are accepted, the approval process isn’t very stringent. I accidentally submitted the same receipt twice and received credit for both receipts. I’m not going to make a habit of it, though. They give you 150 points just for signing up. Points are reset if you are not active for 90 days. You must submit a receipt within 90 days to keep your account active or risk losing all points you have accumulated. No Paypal payment option, only gift cards. Limited receipt submission. I hate limits. My number one tip to using ReceiptPal is to use this in conjunction with other receipt apps for saving even more money. You should be using Receipt Hog, Ibotta, Checkout 51 and submitting your receipts. Receipt Hog – Read my review Is Receipt Hog A Scam?. Ibotta – Read my review 10 Apps That Pay You. Checkout 51 – Read my What Is Checkout 51 About? Review. Dealspotr – I really like this for saving and making money, read my review, What Is Dealspotr About? People that don’t mind spending a little bit of time, upload pictures of their receipts to earn gift cards. It’s easy and over time you will be rewarded. You’re not going to get rich doing it. FYI. It’s so simple they have a concise tutorial on how to use their app. Question or comments can be directed to ReceiptPal via the “Feedback” located in “Settings” within the app itself. You could also email them via their email at support@receiptpalapp.com. It’s free. Gotta love free. N.G.T.G.R.- Is my acronym for Not Going To Get Rich. So, don’t fool yourself. It pays though, but it takes a long time and for the amount of little effort, I firmly believe it’s worth the minimalistic effort to use ReceiptPal. Download it, use it, they pay you. Easy. It would get a higher rating if it had Paypal payment as an option. Also, it is a great way to store and track your receipts while getting paid to do it. If you have any comments or questions, please feel free to do so below. Thanks.